The past 6 games have been a true test to our teams abilities and attitudes. Some close games were lost as well as a few big wake up calls. But as always, we held our heads high ready for the next challenge. Because of our drive and ambition we also came out with a couple excellent wins. Even at the end of a 5 day stretch of hockey we came together as a team and had one of our best games yet. Great job to the Pee Wee Local League ! 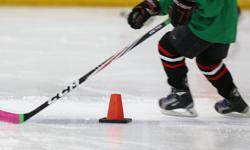 Keep up the great work, we see improvement every time you hit the ice. The PeeWee LL team has had a bit of a slow start to the season, but our heads are held high. Ties vs Seaforth and Lucknow and a 3-0 loss to Milverton leaves us hungry for our first win! Good games from everyone, positive attitudes and we will get that first W!